If you decide to take fish oil in liquid or capsule form, read the package carefully. Fish oil comes in different strengths and formulations, and you should check with your doctor to see what is right for you. As you read the label, note the total grams per dose. That is especially important if you’re comparing a liquid dosage to capsules. Also, note the ratio of the two types of omega-3 fatty acids in the fish oil. You’ll see these listed as eicosapentaenoic acid or EPA and docosahexaenoic acid or DHA. People use fish oil to treat a variety of health issues. Doctors rate it effective for the treatment of high triglycerides and likely effective in keeping people with healthy hearts free of heart disease. It also may be effective in treating high blood pressure, arthritis, menstrual pain, some mental health problems, age-related eye disease, cancer-related weight loss and asthma. Alicia Calvillo says virtually all studies known to the Natural Medicines Comprehensive Database have used fish oil in an encapsulated form. If you are considering taking fish oil in liquid or capsule form, talk to your doctor about the proper dosage. The American Heart Association offers some general dosing recommendations for those taking fish oil for heart health. It suggests that people with no documented coronary heart disease, or CHD, simply eat a variety of fish, especially fatty fish, at least twice a week. Patients with documented CHD should consume about 1 gram of EPA and DHA per day from fish or in capsule form. The AHA recommends that people who are trying to lower their triglycerides take 2 to 4 grams per day under a doctor’s care. It notes that anyone taking more than 3 grams of omega-3 fatty acids in liquid or capsule form should do so only under a doctor’s care. Whether you take fish oil in liquid or capsule form, there are side effects to consider. 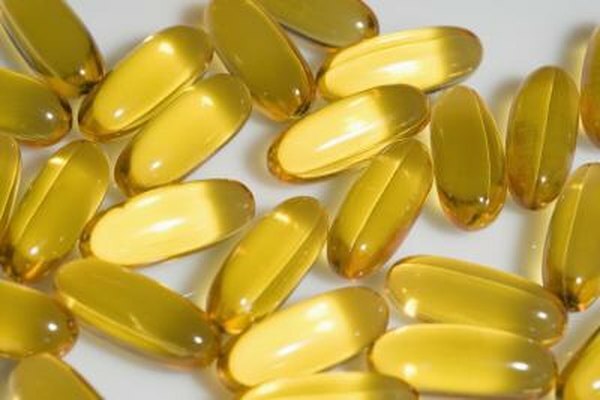 High doses of fish oil may lead to excessive bleeding, and fish oil supplements can interact with prescription blood thinners and other medications. Fish oil also can cause gastrointestinal problems such as belching, bad breath, indigestion and diarrhea. Taking the supplement with food may help. If you choose to take capsules, freezing them can slow the rate at which they break down in the stomach and reduce the fishy aftertaste.